Now that I’m back in London it’s time to catch up on the things that I’ve missed out on whilst I’ve been away. 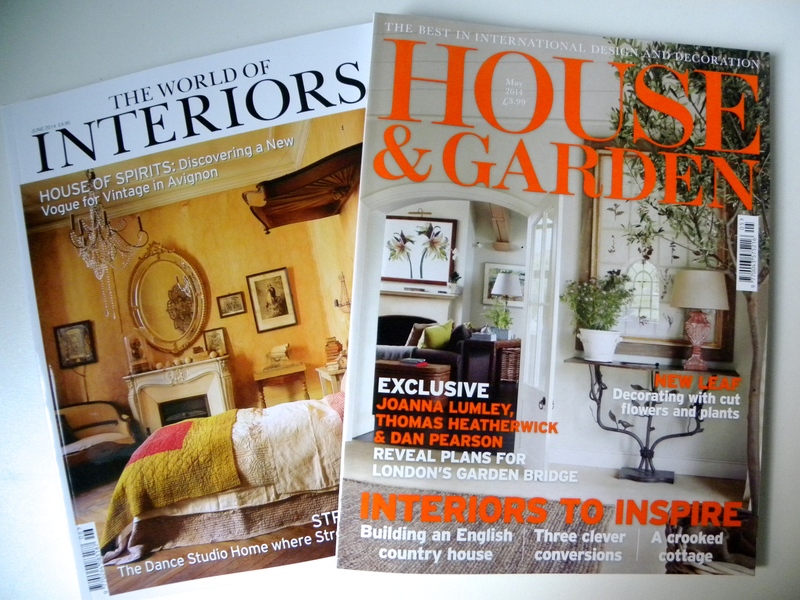 This includes catching up on my reading of The World of Interiors and House & Garden (my go to indulgence whenever I tire of the fashion magazines), among other things. I don’t know about you but for me beautiful, inspiring atmospheres act as an instant pick-me-up, they’re also filled with plenty of exciting ideas with what to do with your interiors and where to look for those key pieces. This entry was posted in Inspiration, Interior Decorating, Life style, London and tagged House & Garden, Interior Decorating, London, Magazines, The World of Interiors by linneabylinneanilsson. Bookmark the permalink. I agree with you, beautiful atmospheres are so inspiring. Such magazines can also be very frustrating when you look around your very lived-in home, untidy because your focus is on something else and because husband thinks stuff can be dropped anywhere and look artistic. I sigh, rant a bit, then return to the computer.